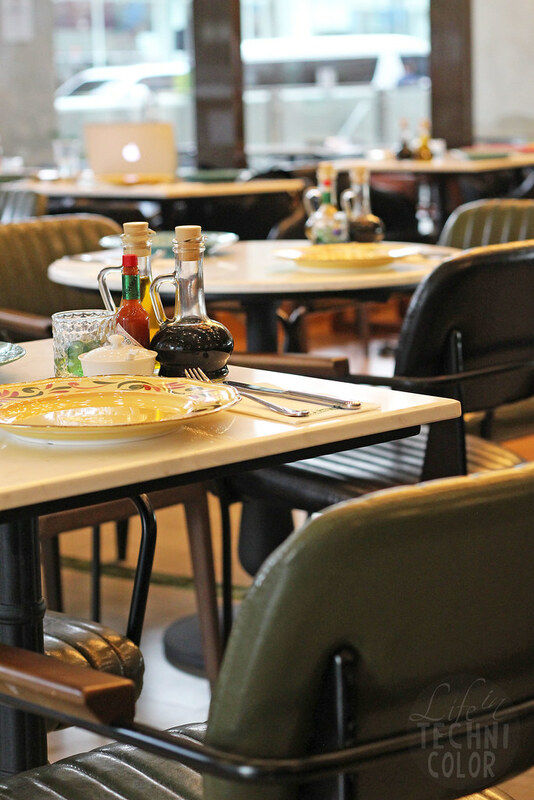 A quick visit to the newest Italian restaurant in town! BGC may be two hours away, but I'll never pass up the opportunity to catch up with my best foodie friends The Pickiest Eater, Eatsplorations, and Phantasm Darkstar! 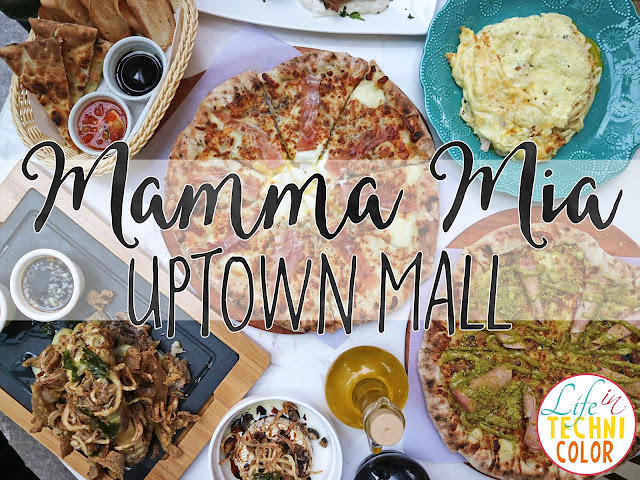 Recently, we headed to Uptown Mall to check out Mamma Mia, the newest Italian restaurant in BGC. Unfortunately, when they opened their doors last November 25, 2017, I had just left for San Francisco. And since it's been a while since I last sat down for an authentic Italian meal, I really made sure to make it one of my first stops when I got back from my trip! Luckily, my friends have also been wanting to try their dishes, so in the end, we all decided to just have our Christmas meet up there! 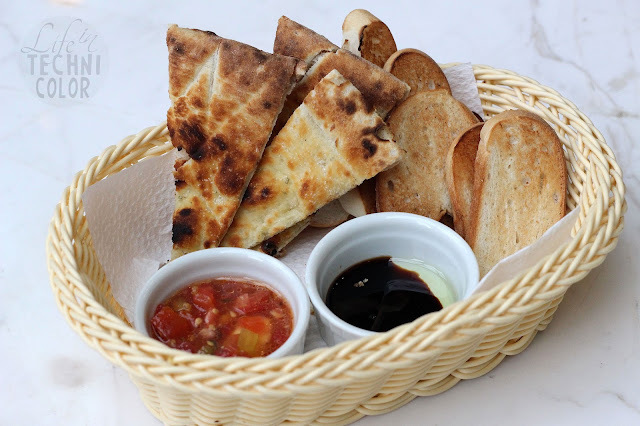 To start us off, they gave us this complimentary basket with freshly baked bread, tomato dip, and balsamic vinegar. It kept us entertained as we waited for our orders to arrive. I seriously appreciate it when restaurants do this, so you're not left staring into space or with your tummy grumbling for the whole of 15 minutes. Crispy Pata in an Italian restaurant? For a second there, I thought I was somewhere else! 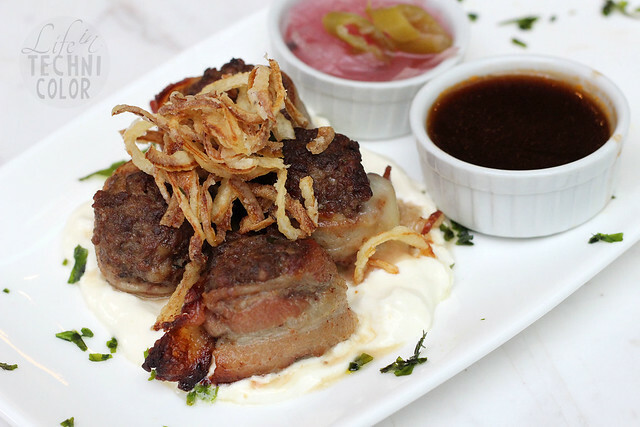 Turns out, the Stinco di Maiale is the Italian version of the Filipino favorite! It has a tender and succulent meat, and the best part, crunchy skin. 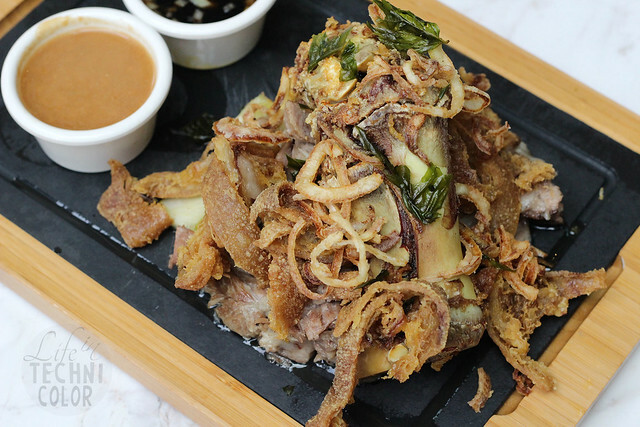 If you like crispy pata, you'll surely love this too! Served with two types of dipping sauce - a soy sauce mix and homemade gravy. 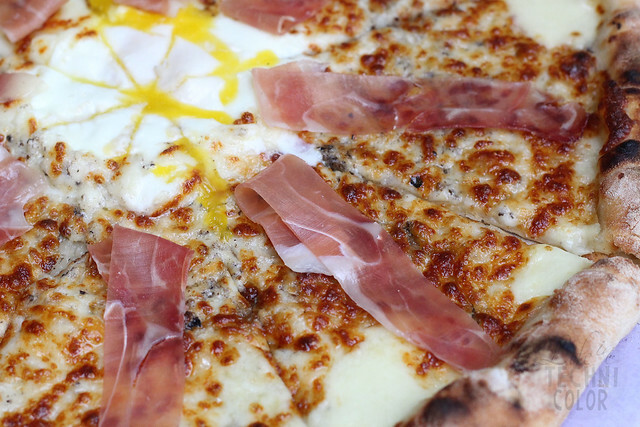 A truffle cream sauce based pizza topped with egg, mozzarella cheese and prosciutto crudo. It's sweet, salty, creamy, and savory, all in one! 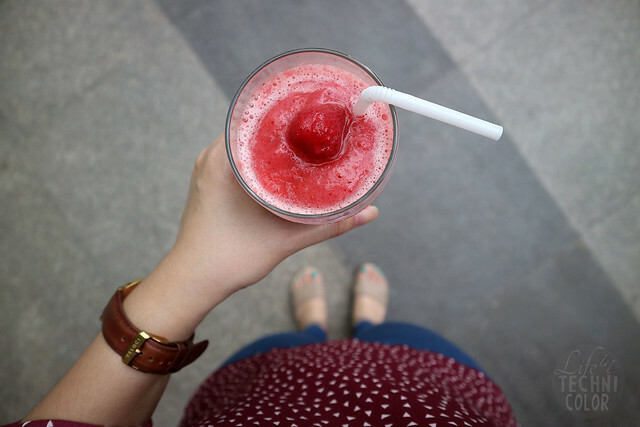 It was definitely one of my favorites that afternoon. 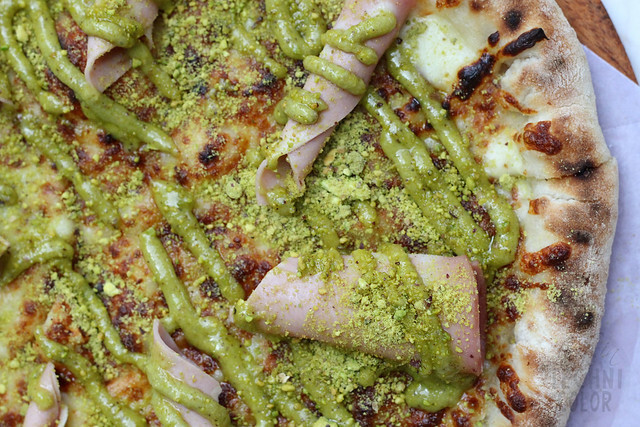 Pistachio fans, meet the Mortadella e Pistachio! This was probably the most unique thing we tried that afternoon. 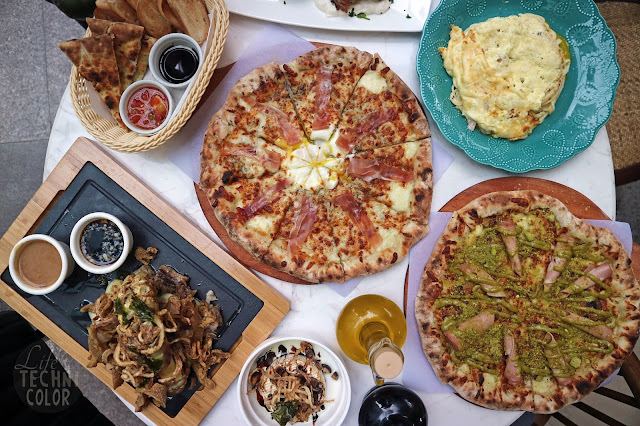 It is a cheese pizza drizzled with pistachio cream sauce topped with crushed pistachios and Mortadella, a type of Italian pork sausage. Worth a try, especially for pistachio lovers! When I go to a new restaurant, I often gravitate to ordering dishes that feature the name of the restaurant. I mean, they wouldn't put it on there if it wasn't their best dish, right? The Spaghetti Carbonara ala Mamma Mia is one of those dishes and I'm SO glad it did not disappoint. In fact, it is probably the best carbonara I've had in a very long time. 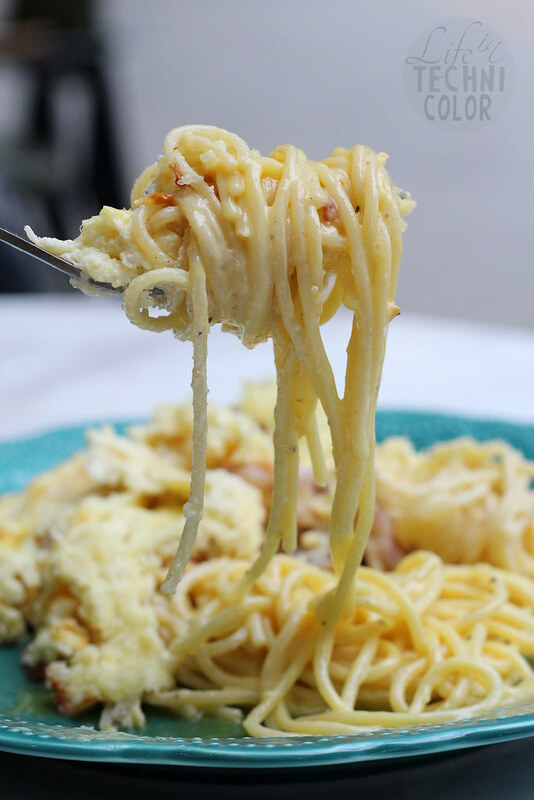 This classic bacon and egg spaghetti is rich, cheesy, and creamy in just the right amounts! 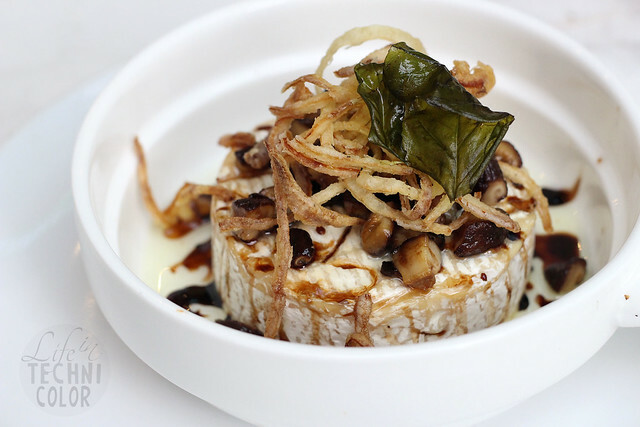 Topped off with parmesan cheese, black pepper, and pancetta, this is one dish you shouldn't miss at Mamma Mia! 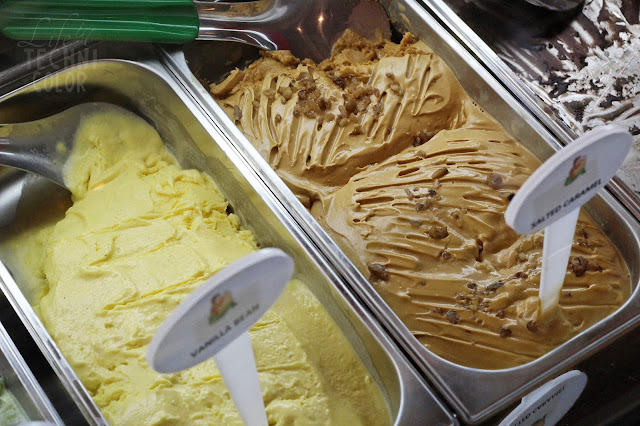 Finish your meal with a scoop of gelato or two! I've yet to try them, but after the meal I just had, I don't doubt they're delicious. 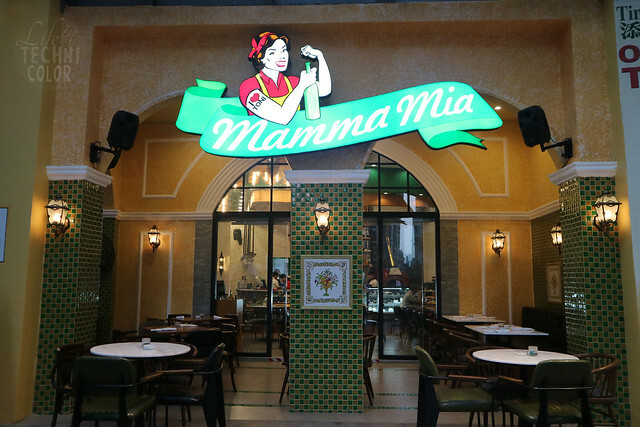 ;) Visit Mamma Mia at the ground floor of Uptown Place Mall, 36th Street Corner 9th Avenue, Bonifacio Global City, Taguig City.